It differs from broadcast television in that the signal is not openly transmitted, though it may employ point to point (P2P), point to multipoint, or mesh wireless links. American Security Professionals are experts in the area of installing and using CCTV cameras for your home or business in the Denver metro area. 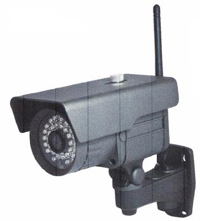 CCTV camera systems may operate continuously or only as required to monitor a particular event. A more advanced form of CCTV, utilizing digital video recorders (DVRs), provides recording for possibly many years, with a variety of quality and performance options and extra features (such as motion-detection). Call American Security Professionals to discuss your Home or Business Closed-circuit television needs Today!